'Unsound:Undead' features 64 short essays on the transmission of sound between the living and the dead. A new book from the UK-based philosophy imprint Urbanomic features essays from experimental pioneers Lee Gamble, Kode9 and Tim Hecker, among others, exploring the theoretical possibilities of sound mediating the boundaries between the living and the dead. 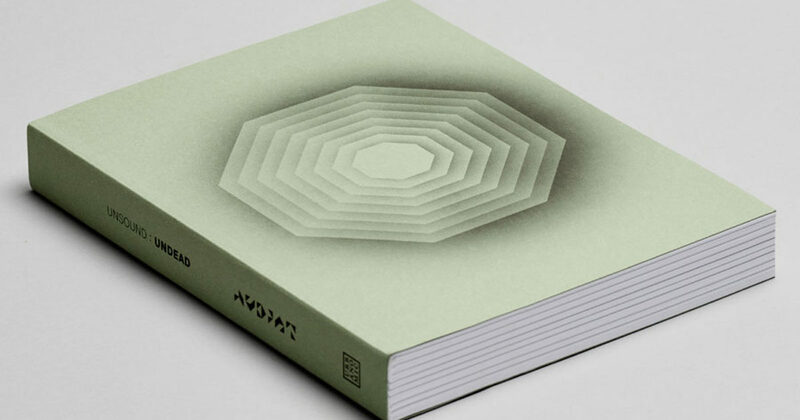 Among the essays are Lee Gamble’s contribution, “They Echoic: Exquisite Corpse”; a piece from the musician and Urbanomic founder Robin Mackay, who contributed this awesome guide to jungle for Electronic Beats a few years ago; Tim Hecker’s essay “Shocks on the Body”; and a number of solo and collaborative piece from Kode9, who writes as Steve Goodman. Theorists and critics such as Kodwo Eshun, Eugene Thacker and former Electronic Beats contributor Lisa Blanning also contributed essays to the collection. Needless to say, Unsound:Undead will be essential reading for any music fan interested in the metaphysical properties of sound. For more books you might want to read, check out our list of our favorite books about music. Buy Unsound:Undead on the Urbanomic website.